1. 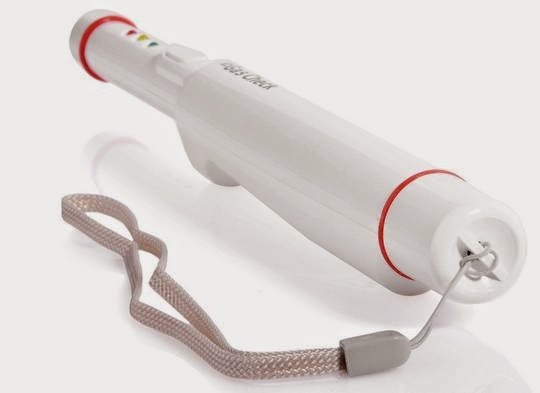 First, pull out contaminants protection on the nozzle, and then hit the button. The sensor's temperature in the item will be 400 supplying electric power. 2. 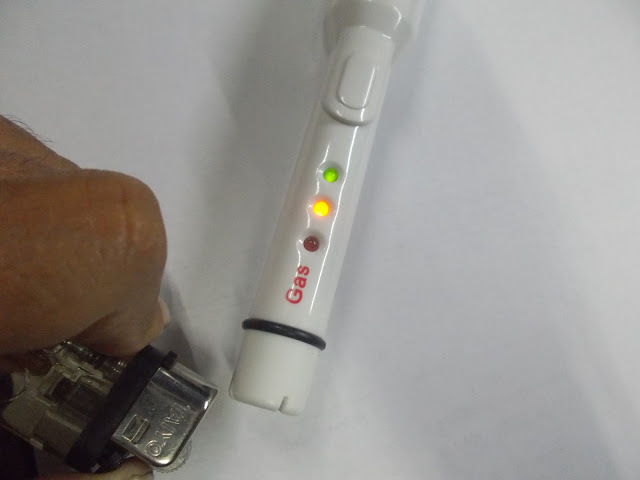 The gas, air value, is approached to sensor in 10 minutes. The value is approached to an electric circuit and calculated automatically. 3. 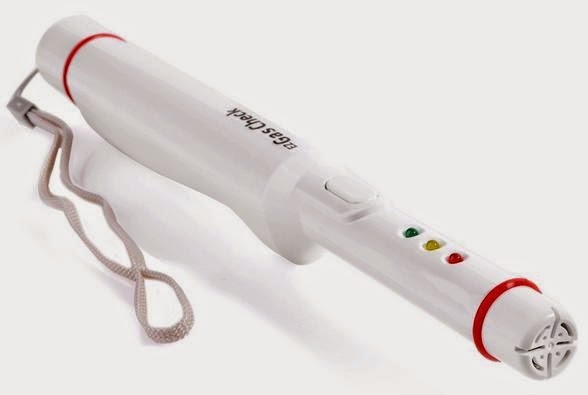 The calculated value not only saving on the electric circuit but also giving beep sound to tester. 4. 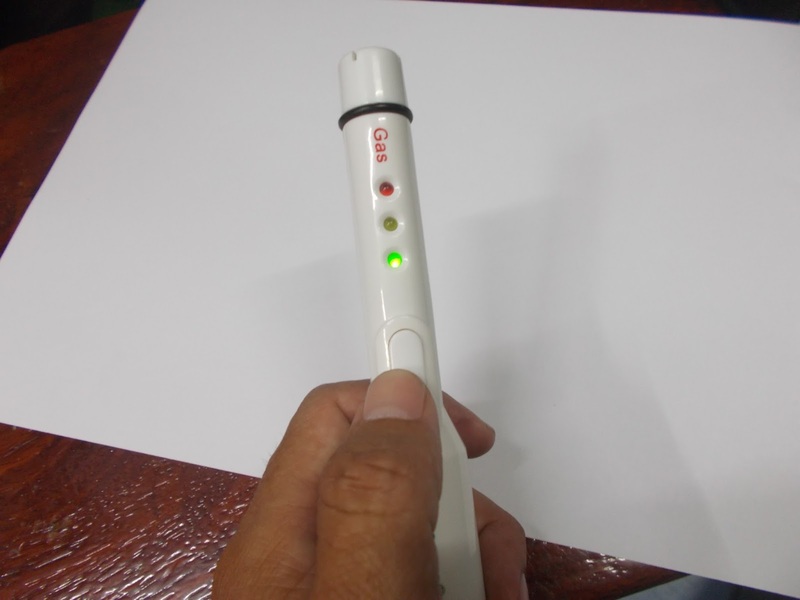 The tester approaches to doubtful area with the item and places the item. 5. 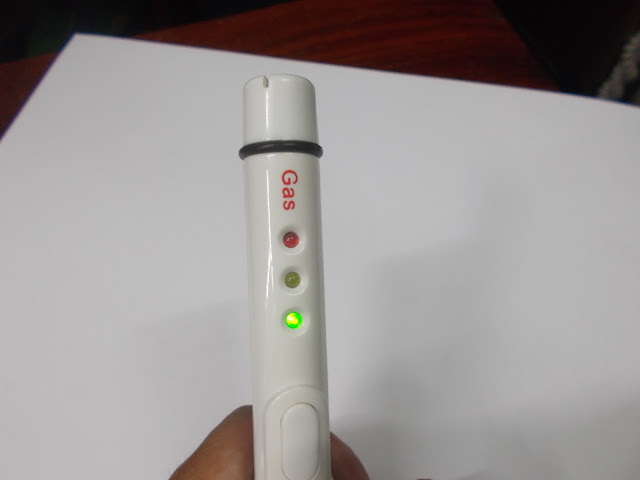 If the gas is not exist, the item is displayed green on item. Otherwise, the light will be on other LED in a second. 6. 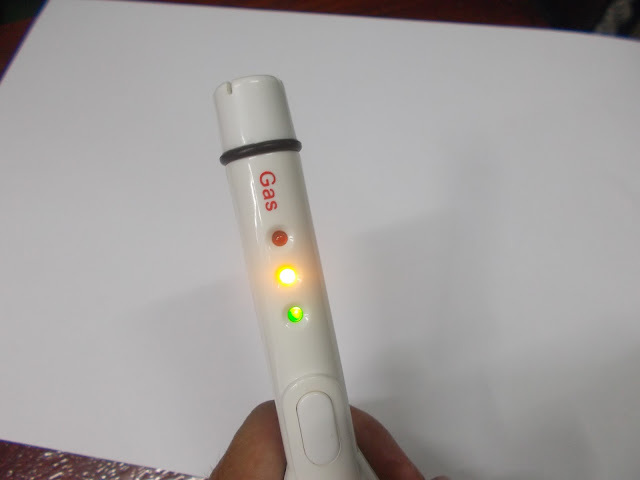 The sensor calculates comparing both sensor characteristic of saved air and sensor characteristic of gas. 7. 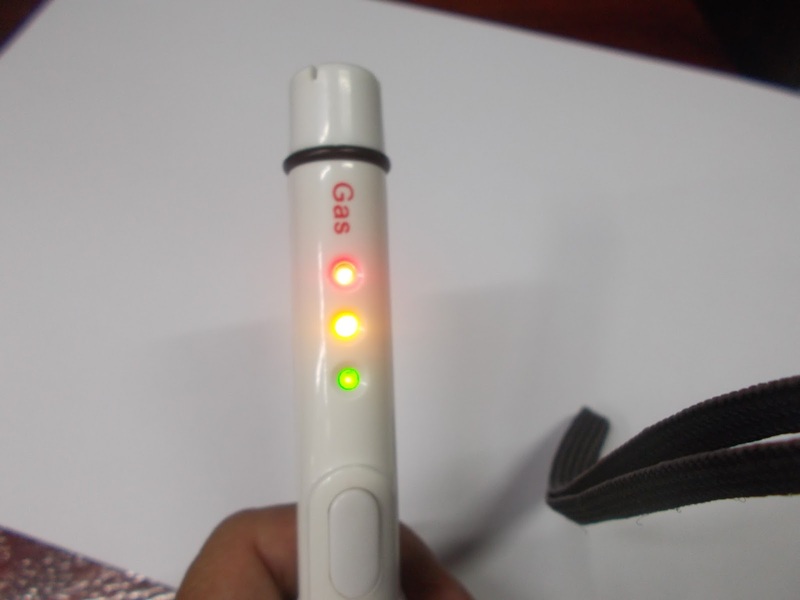 If gas consistency is very low, the light is on orange LED with beep sound, or if gas consistency is high, the light is on red LED with beep sound. 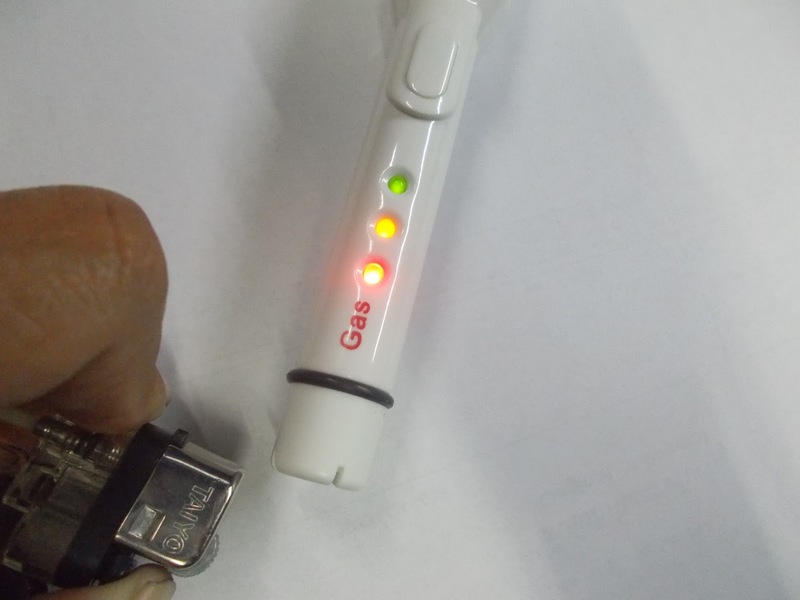 ** Do not use the detector in areas having high concentration of combustible gases. In this cases. Do not power on / off the detector frequently. ** Recovery time of the detector after a detection performed is 30 to 60 seconds. It increase the recovery time when in low temperature area. 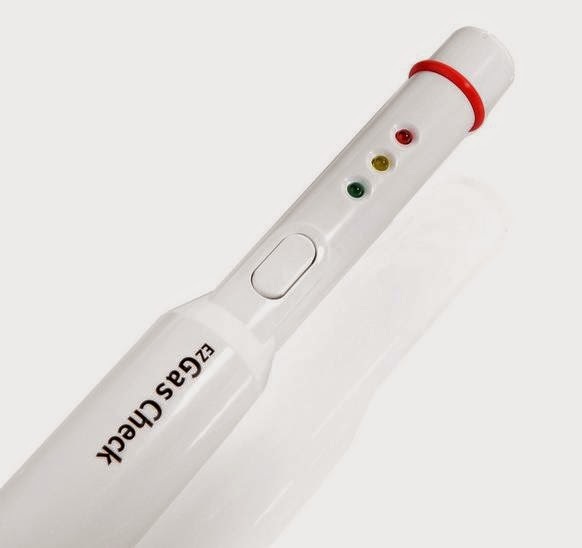 ** Alway keep the detector dry. 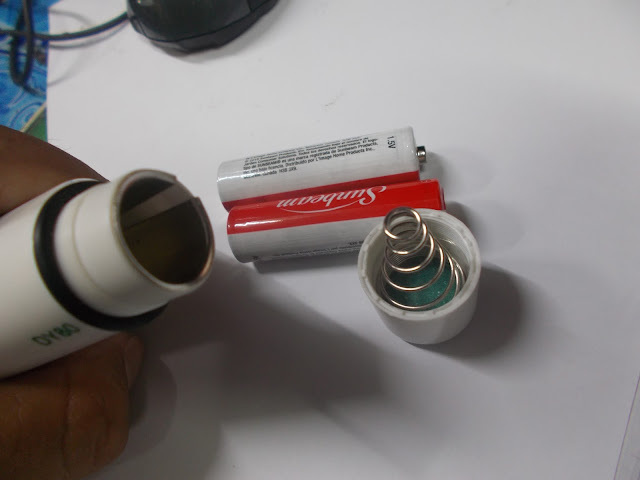 ** It is recommended to use high performance alkaline batteries in the detector. 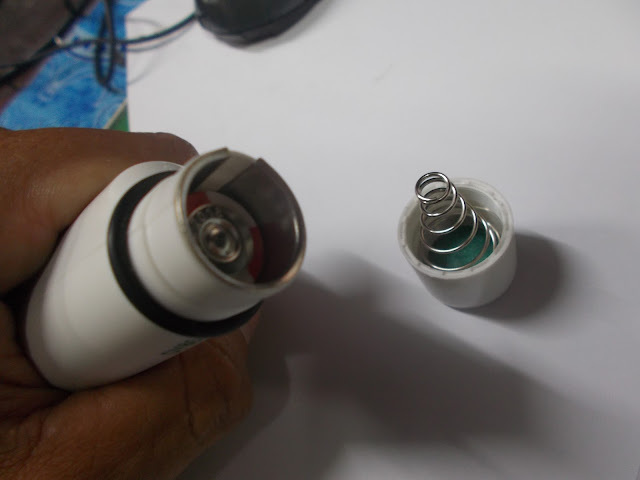 Remove the batteries if you are not going to use it for an extended period of time. - area filled with hybrid of multiple organic solvents and fuel gases. 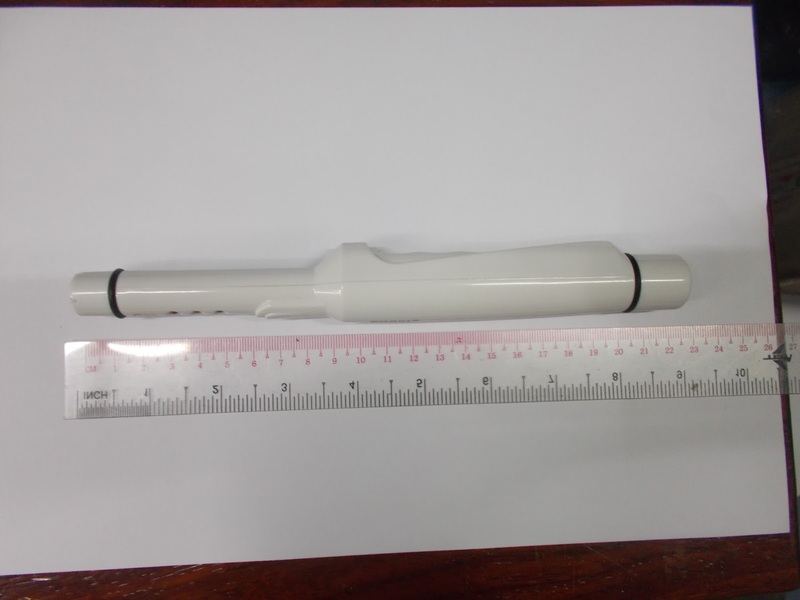 Dimensions Length : 8.7" , Width : 1.0"